It’s that time of year again. 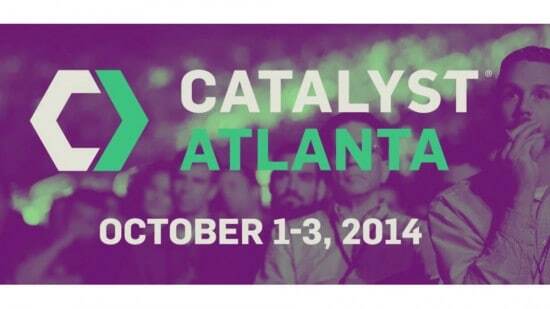 The Catalyst leadership conference in Atlanta will be happening next week, October 1st through the 3rd. So many great leaders will be presenting their thoughts and ideas to the crowd of over 13,000 young leaders. Lives will be changed at the conference. Destinies will be realized. And an amazing blogger meetup will happen. Paul Sohn and I have put together a great night on October 1st at California Dreaming in Atlanta, Georgia. We hope that you can make it out to the meetup. Not only would you get to meet Paul and myself, you’ll have the opportunity to mingle and connect with many other young leaders and bloggers. We really wanted to make this night special. And we think we’ve accomplished that. Not only that, we also wanted you to be able to take something away from the event. That’s why we’ve put together goodie bags that will help you more than recoup the $5 cover charge for the event. The goodie bags will contain multiple books from leading leadership experts and platform builders. My guess is you’ll walk away with over $50 in books. I hope you can make it out to the blogger meetup and hang out with us in Atlanta. It’s going to be a great time. I know you’re interested so be sure to register at the EventBrite page for the event. You won’t regret it!